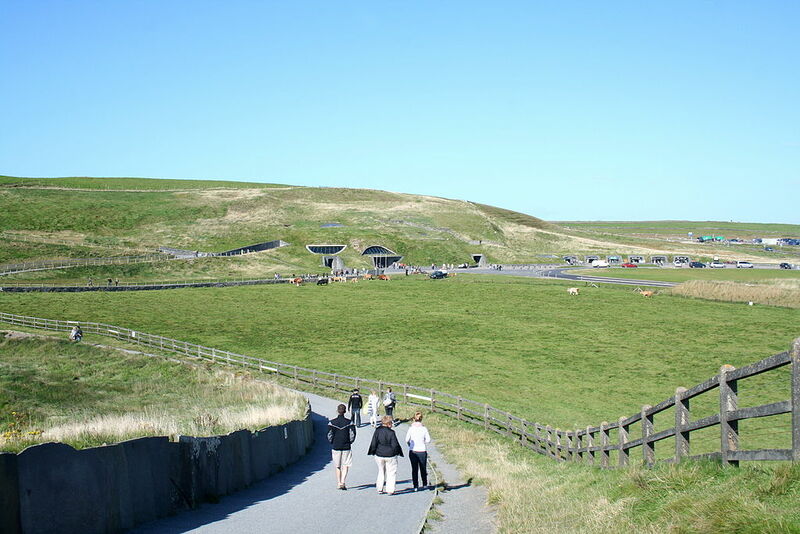 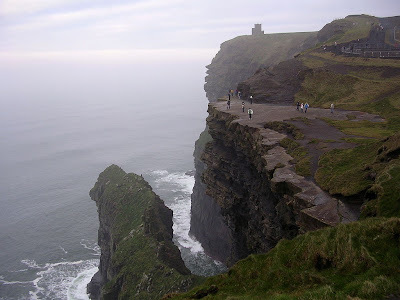 The Cliffs of Moher, are located in the parish of Liscannor at the south-western edge of the Burren area near Doolin, which is located in County Clare, Ireland. 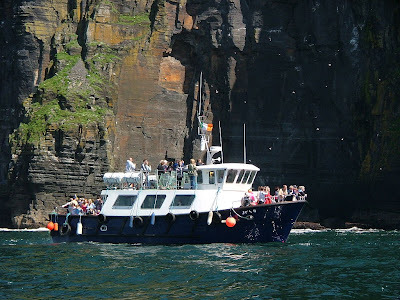 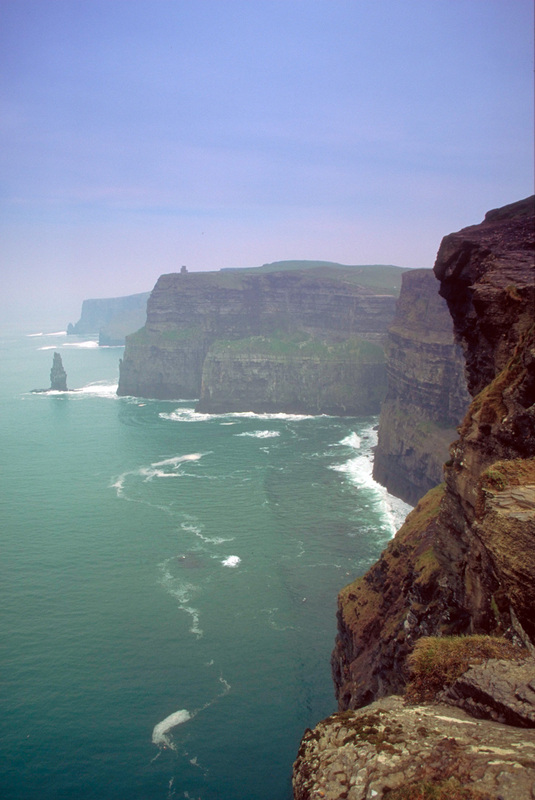 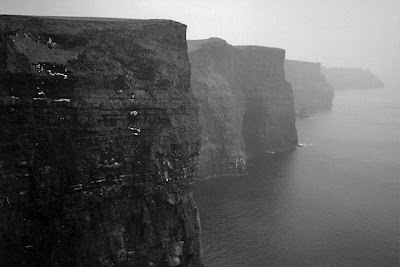 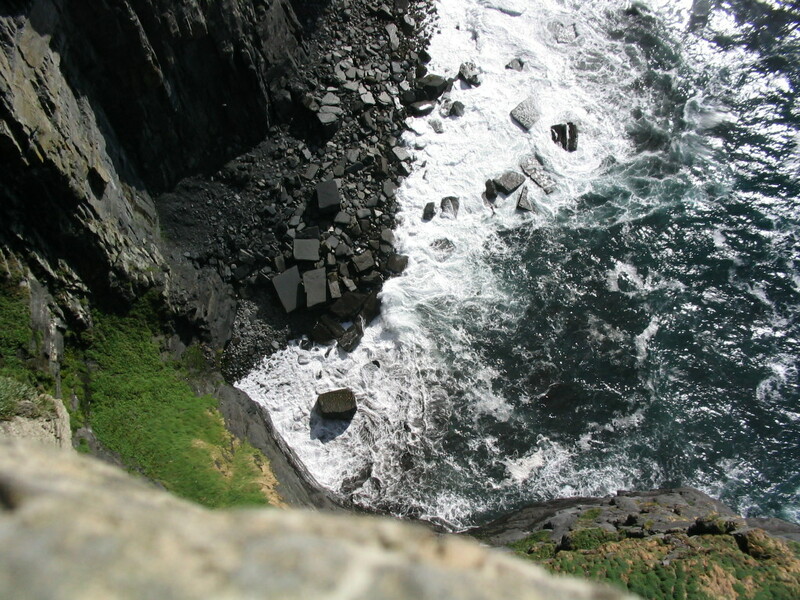 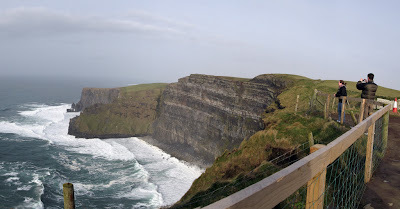 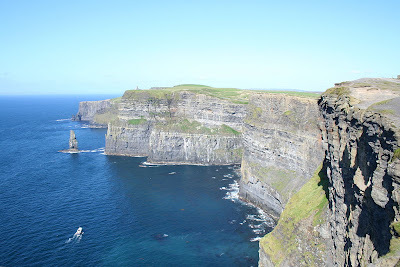 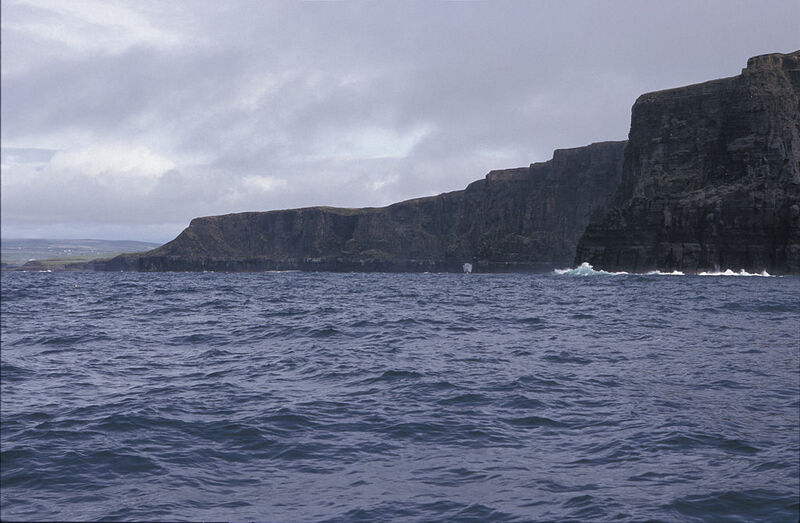 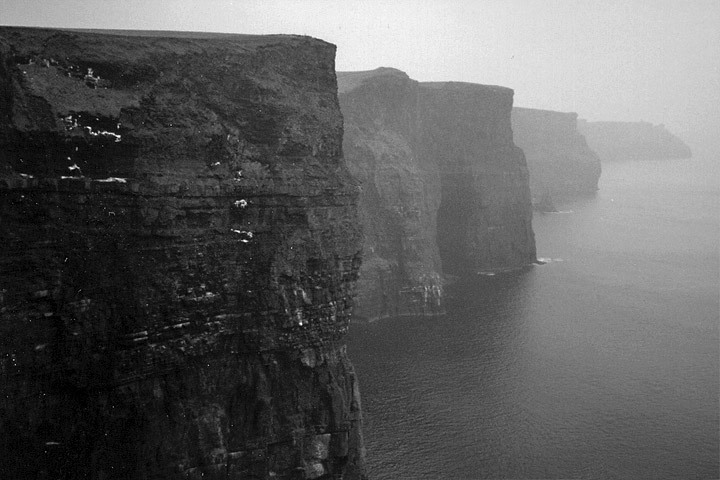 The cliffs rise 120 meters (390 ft) above the Atlantic Ocean at Hag's Head (Irish: Ceann na Cailleach), and reach their maximum height of 214 meters (702 ft) just north of O'Brien's Tower, eight kilometres away. 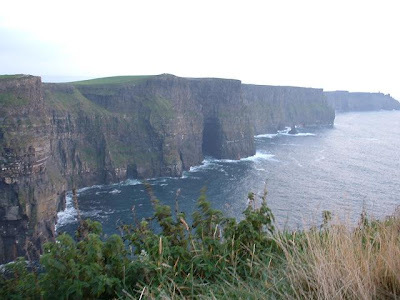 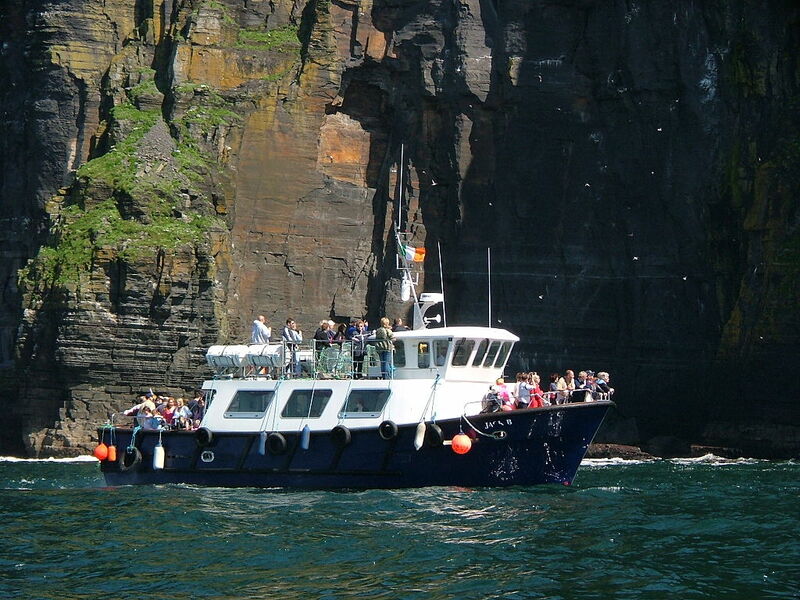 The views from the cliffs attract close to one million visitors per year. On a clear day, the Aran Islands are visible in Galway Bay, as are the valleys and hills of Connemara. O'Brien's Tower is a round stone tower at the approximate midpoint of the cliffs. 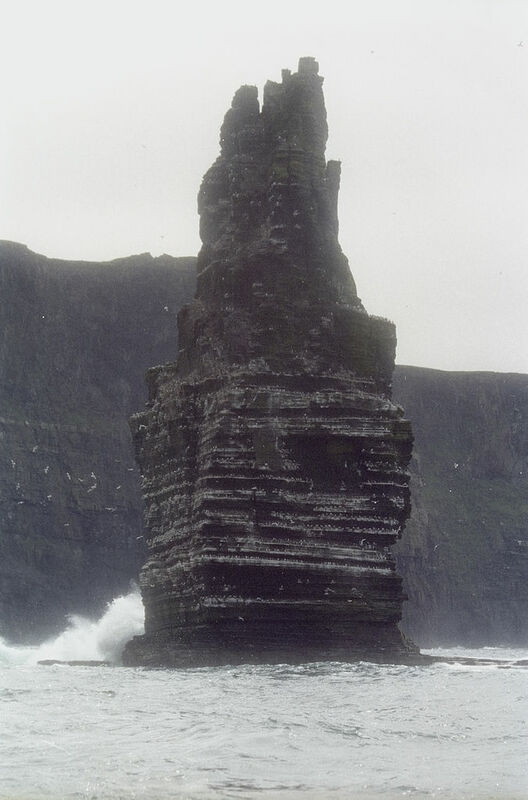 It was built by Sir Cornelius O'Brien, a descendant of Ireland's High King Brian Boru, in order to impress female visitors. 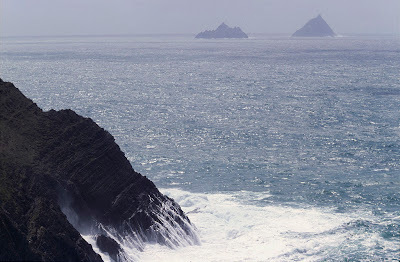 From atop that watchtower, visitors can view the Aran Islands and Galway Bay, the Maum Turk Mountains and the Twelve Pins to the north in Connemara, and Loop Head to the south.